Joint pain is a common problem with multiple causes ranging from injuries, age-related wear, and tear, to autoimmune conditions. In many cases, the pain is followed by joint redness, stiffness, and swelling while a patient’s range of motion and quality of life decrease. Although most people tend to assume joint pain is only associated with strains or sprains, multiple causes are behind pain and discomfort you experience. 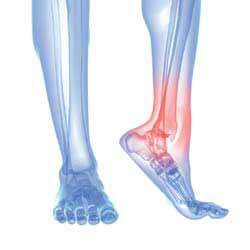 For example, millions of people have arthritis characterized by pain and inflammation of the joints. Despite the fact that joint pain makes us think there’s something wrong with joints only, you can experience pain, swelling, redness, or stiffness due to a number of reasons. Experiencing musculoskeletal problems is not uncommon and they are a costly issue for people and companies across the US and around the globe. The term musculoskeletal problem refers to all conditions that affect a person’s muscles, joints, and bones. Instead of randomly searching on Google or checking forums, you should scroll down for factual information. Joint pain conditions are, indeed, numerous and although they do have a lot of similarities, they have major differences too. The information below will educate you about a wide range of joint pain conditions that could be causing pain you (or someone you know) experience, but it will also teach you how to prevent/manage your condition.